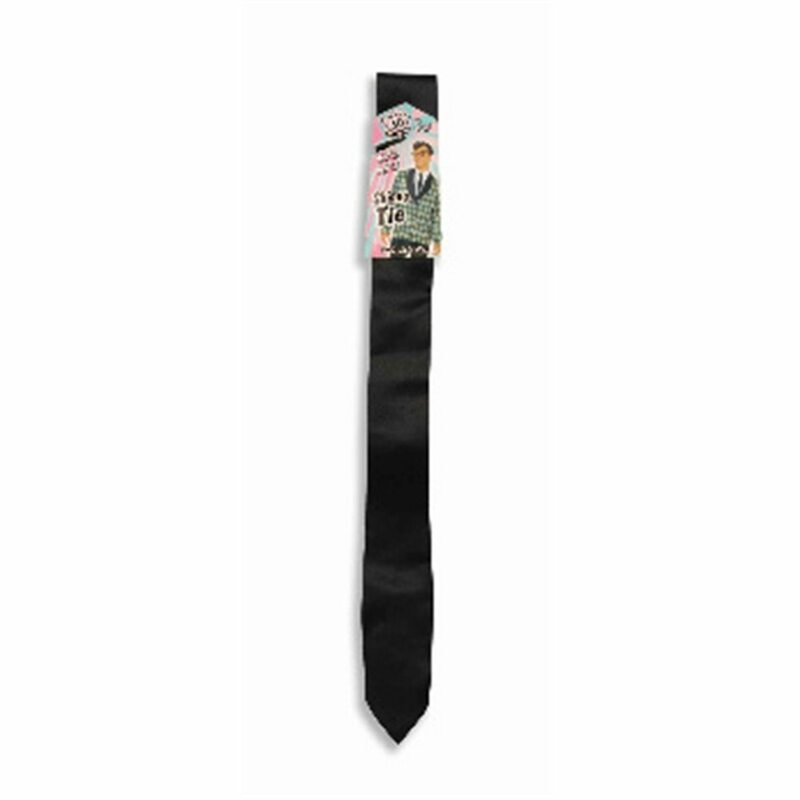 50's Skinny Black Tie,This is a BRAND NEW Accessory in its original packaging.50s Skinny Black Tie - Flirtin With The Fifties - Wrap yourself around this 50's Skinny White Tie to create a preppy, Ivy League, or Rockabilly look! This is a BRAND NEW Accessory in its original packaging. 50s Skinny Black Tie - Flirtin With The Fifties - Wrap yourself around this 50's Skinny White Tie to create a preppy, Ivy League, or Rockabilly look!